It is said that one of the dearest casualties of colonization is the death of a nation’s own identity. This theory is truly evident in New Zealand, where a vast majority of its native-born population are unable to recognize the language of the land – Te Reo Māori. The historic suppression of the Māori language has been the catalyst for this tragedy, and it was only in recent history when state-led efforts were introduced to reverse this. Hence, it becomes rather frustrating when individuals complain over any attempts to mend Māori language with mainstream New Zealand society. For some reason, uttering a word or a phrase in our country’s native tongue is somehow insulting – thus creating a debate over the use of the language when its adoption into everyday life should be natural. The place of Te Reo Māori (translated: the Māori language) was hotly contested recently when an op-ed in the Otago Daily Times, by a Dunedin resident named Dave Witherow, criticized Radio New Zealand (RNZ) presenters for speaking the language during Māori Language Week. His grievance was tantamount to complaining about a surge in retail shopping during Black Friday. According to Witherow, speaking Te Reo was equivalent to “servility” to Māori culture. He also believes that Māori Language Week is an example of “political meddling” which was established by “backroom deals”. Naturally, his views were supported by former ACT and National Party leader Don Brash who not let pass any chance to disparage anything Māori. In a Facebook post, Brash cited that he was “utterly sick of people talking in Te Reo Māori on RNZ” because it is primarily an “English-language broadcast”. He referred to the gesture to use the indigenous language as “virtue-signalling at its worst”. If both these men were clever they should realize that it is expected to hear the use of the Māori language during Māori Language Week since it is essentially what the occasion is about. A vast majority of New Zealanders of Māori-descent are unable to engage in conversations in their own native tongue, which is a travesty. This is due to the historical systemic repression of the use of Te Reo, forbidden from use in schools and public workplaces for most of the 20th century. Initiatives such as Māori Language Week were created to prevent the extinction of the language and to preserve a unique aspect of New Zealand’s cultural identity. The latter part is what both Witherow and Brash fail to understand, Māori culture is an inherent part of New Zealand’s identity – it is the only part of our society which makes us unique as a country, this gives us an imperative to preserve it. It is quite shocking to know that it was only in 1987 when Māori was made an official language of New Zealand, that was thirty-years ago. The systemic oppression of the Māori identity pushed it to near oblivion, but fortunately saved by state-led initiatives starting in the 80’s. 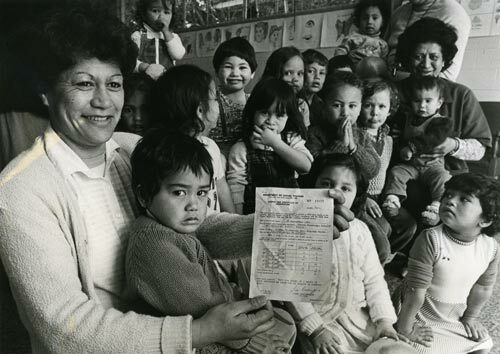 One of those initiatives was the establishment of Kohanga reo schools, Māori-language schools ran by Māori elders (kaumatua). It helped usher a revival of Te Re, however more progress needs to be made and initiatives to push Māori culture into the mainstream – such as Māori Language Week – are an important part of it. It is one week every year where media broadcasters are encouraged to include Māori words in their daily discourse, which only results to a few phrases and the use of Māori greetings every few minutes – not pervasive in the slightest. The initiative happens only one week per year when efforts to integrate Māori language and culture into the mainstream should be done all year round. 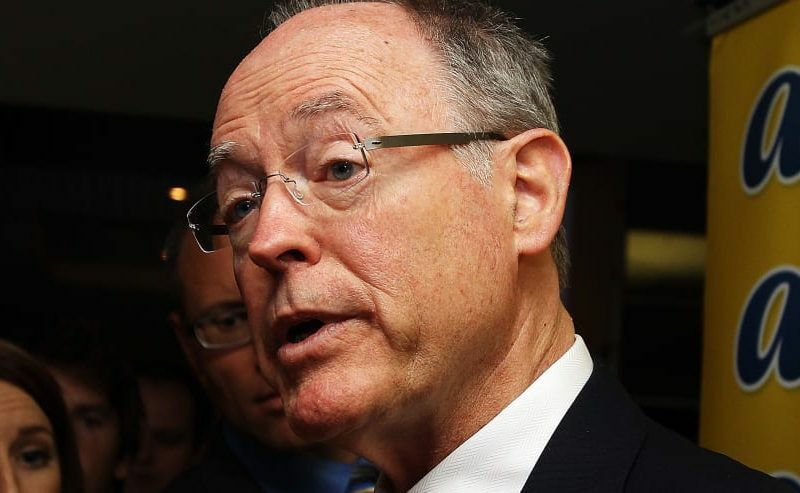 Don Brash said RNZ should not subscribe to Māori Language Week since it is “a primarily English-language broadcast”, that is exactly why such initiative should be observed. The network is our state broadcaster, New Zealand’s answer to the BBC, it should be at the helm of the efforts to revive the use of the Māori language. It is after all in the state’s best interests to protect our patrimony, Māori identity is the most precious inheritance we have received from our forebears. The opinion piece by Dave Witherow also raises a few eyebrows. What does he mean when he states that Māori language is being “inflicted” on RNZ’s viewership? Using a few Māori words and phrases every now and again during broadcast is hardly a punishment. It is ironic since he ridicules Māori individuals who complained about people pronouncing their names wrong, calling them “snowflakes”, in his article. Yet he himself displays “snowflake”-like mentality by complaining about something so little as Māori words being uttered a few times. Witherow then posits an ill-conceived thought at the end of his piece, calling for “respect” which he defines as a “willingness to consider points-of-view other than one’s own.” His obliviousness is astounding, here is a person of undoubtedly European descent showing contempt for a language and culture different to his own calling for “respect” for his way-of-life – which by the no one has threatened. It begs to ask if whether Mr. Witherow or Mr. Brash have ever considered Māori culture or learning the Māori language themselves. Have they given it the same “respect” which the former has called for, or did they just give it one look, judged it to be “primitive” and dismissed it to be that way ever since? Perhaps if they allow themselves to be more receptive to learning about tikanga Māori then they won’t experience near-heart attacks when they hear Guyon Espiner greet his audience with “Kia ora“. The onus is on them to be educated on the place of Māori culture and language in New Zealand society, and maybe in the course of their enlightenment they will realize that it forms an integral part of our country’s identity and it is of great urgency for us as a country to preserve it and to see it flourish. Is There a Future for the Maori Party? Really ? The forebears of the great majority of New Zealanders, including many Maoris of mixed blood, are European, primarily Anglo-Celtic. Their cultural inheritance is that of democratic ideals, practices and institutions that stem from the Magna Carta and other important documents, along with those of The Enlightenment and The Rennaisance. And of course, now that 5% of New Zealand’s population is Chinese along with a rapidly growing number of Indians and others of Asian descent, all coming from some of the world’s oldest cultures and religions with the attendant philosophies and literatures, I see the quoted statement to be specious at best, even though it is very PC.